We love talking to customers and fulfilling the Power Tool and accessory requirements you have and we can get pretty much any power tools or accessory to you same day if not next day, and we supply high quality branded power tools, fixings and fasteners and cover all the major brands. Unifix, De Walt, Makita, Bosch, Milwaukee, Hitachi, Trend Router Cutters, Fein, Wera Screwdriver bits, SDS drill bits, Youngman ladders, Diamond Blades, Hand Tools and all associated fasteners and fixings and tradesman tools. Also we often have bundle deals that we put together for the building and construction trade and this includes power tools and fixings to help you do the best job for your customers. Most importantly we deliver direct to where your order is needed just tell us your desired delivery address with full postcode and we will ensure you get the product in the right place at the right time – the Teknofix promise. 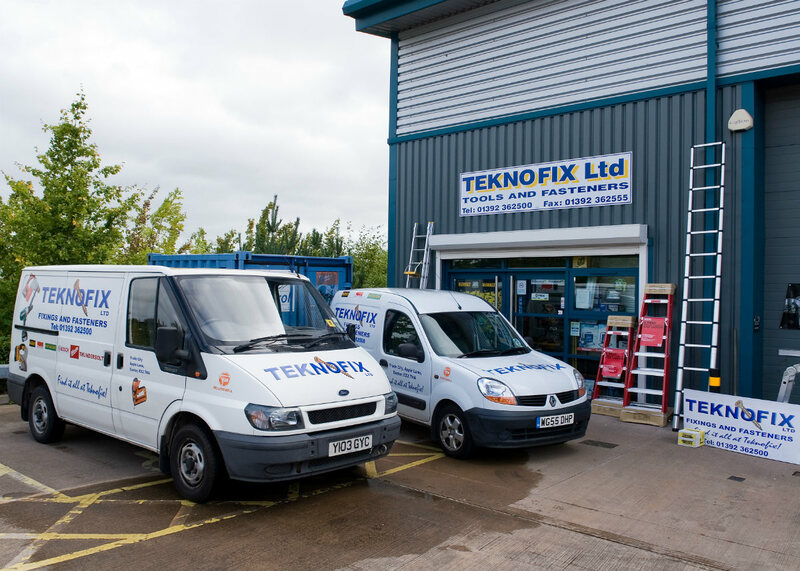 So why not discover what you may have never know and either get in touch now or call the Teknofix team on 01392 362500 we’ve probably got what you need! All forms of payment including 30 day trade account and all debit and credit cards accepted. Teknofix © 2019. All Rights Reserved.